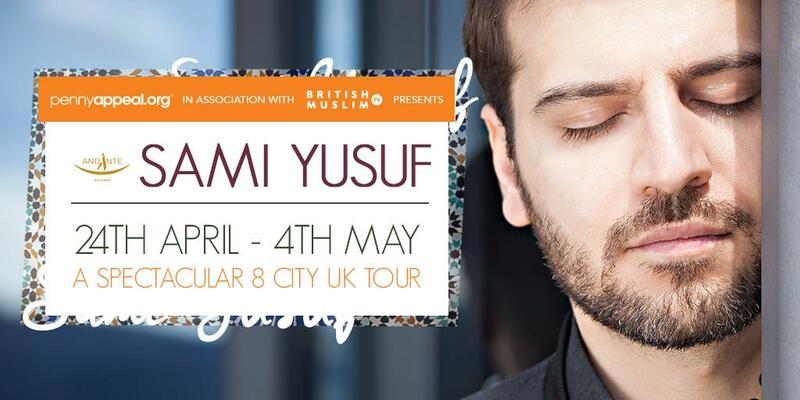 Home » Art and Culture, Featured, Modern-FA, Sami Yusuf » Penny Appeal are bringing Sami Yusuf on an exclusive UK Tour! The incredible artist returns on tour to the UK for the first time since 2008, where he will perform famous hits and songs from his new album – ‘The Centre’ as well as some well-known classics. The spectacular 8-city tour starts on 24th April in Birmingham, and will move on to other cities including Oldham, Luton, Bradford, London, Manchester, Glasgow and High Wycombe. Tickets are available FROM JUST £10, with the tour being in aid of orphans worldwide. Don’t miss your chance to see Sami LIVE, and hear him like you’ve never heard him before. Book your tickets now before they sell out.